Established in 1946 by Señor Enrique Guillermo Newton Alexanderson, it has grown into one of the most respected Tequileras in the region. The producing distillery name "Tequilera Newton E Hijos" changed in 2011 to Corporativo Destileria Santa Lucia. Aroma: A very herbaceous aroma with green spices and agave filling up you nostrils. A tad harsh, but really full of unique smells. Initial Taste: Vegetal agave with a nice amount of sweetness to round it out. Body: A medium body...and one that's full of complexity. 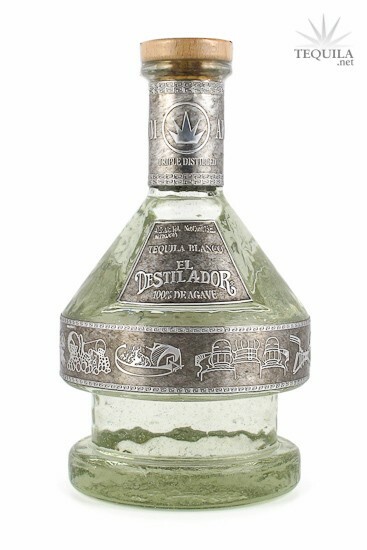 The agave sweetness is there, the vegetal notes remain and there's a spicy pepper note as well. Finish: The herbal notes are very strong on the linger and it lasts for a good while. No sweetness on the linger...it's all herbs and pepper. Very unique. While this tequila isn't necessarily in my preferred taste range, it does this profile well. A nice mix of herbs and agave kick with good balance and a light sweetness that keeps it from being too dry. When considering the presentation, price and quality, this is definitely a tequila to keep around for the sake of variety and uniqueness. I really like how this one was crafted overall.